Today we bring you the GMC Fall 2012 schedule! They will be adding one new series this fall, the popular '90s drama Touched by an Angel. 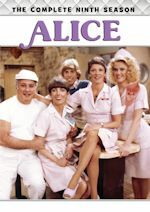 The series will fit right in with fellow dramas like The Waltons, Dr. Quinn, Medicine Woman and 7th Heaven. The new addition will have a launch marathon on Saturday, September 15 from 7pm-3am and an even longer one the day on Sunday, September 16 from 9am-2am. The series will then settle into its regular weekday timeslots starting Monday, September 17 at 7pm and 8pm. The series will also air on Monday nights at 9 and 10pm in primetime. All of its airings will be replacing a few 7th Heaven airings, but not to worry, that show is still scheduled in its other timeslots (see below). In fact other than these changes for Touched, there are no other schedule changes at all. 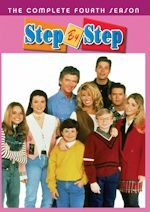 We still have Family Ties kicking off weekdays 10am-12pm, 7th Heaven at noon, back-to-back hours of Judging Amy from 1-3pm, two episodes of Dr. Quinn from 3-5pm, then a double shot of 7th Heaven from 5-7pm leading into twice as nice Touched from 7-9pm. Primetime will still have a different program each night from 9-11pm: Mondays it is now Touched by an Angel, Tuesdays it is still 7th Heaven, Wednesdays still is Heartland, Thursdays it is The Waltons (which are its only regular airings now), and a movie on Fridays. Late nights will still feature two episodes of sitcom 227 at 11pm, followed by two episodes of the Sherman Hemsley comedy Amen and then two more episodes of 227 at 1am. 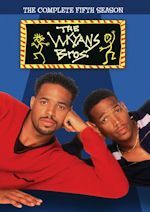 And finally on Saturdays, it is still Sister, Sister mornings from 9am-1pm then Moesha in the afternoon and evening from 1-7pm. 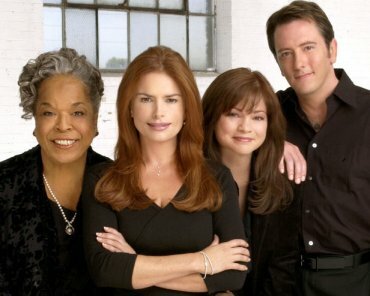 On the beloved Touched by an Angel, an angel named Monica (Roma Downey) and her supervisor, Tess (Della Reese), are tasked with bringing messages of love from God to troubled people. From the third season on, Monica and Tess are frequently joined by Andrew (John Dye), the angel of death (who first appeared as a recurring character in season two). In the later seasons, they are joined by Valerie Bertinelli, another rookie angel. 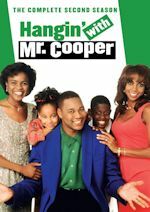 Many guest stars appeared in the series, including Jasmine Guy, Delta Burke, Bill Cosby, John Ritter and many others. Touched By An Angel ran for 211 episodes and nine seasons until its conclusion in 2003. As for other stunts, this coming Monday they will have a "Labor" Day marathon! It's a full day of your favorite TV moms in their finest hour, or two, or 13... whatever it takes! If you love babies, or even puppies, you'll want to tune in for GMC's 13 Hours of Labor Day Marathon beginning at 10am ET with Family Ties, then The Waltons, Judging Amy, Dr. Quinn, Medicine Woman and many episodes of 7th Heaven. View the full GMC Fall 2012 schedule. We will let you know if anything comes later this fall, but so far the only new addition is Touched by an Angel. For the week of September 3-7, 2012, we have many current sitcom stars and past sitcom stars on TV talk shows! All times listed are Eastern. So get your DVR's (or whatever you use) ready! Ready? Here is all what you need to know for the coming week! Thomas Haden Church (Wings) - Watch Thomas on a repeat of Jimmy Kimmel Live! at 12am on ABC. Kelly Ripa (Hope & Faith) - Kelly is a guest on a repeat of Late Night with Jimmy Fallon at 12:37am on NBC. Kristen Johnston (The Exes/3rd Rock from the Sun) - Tune in to see Kristen on a repeat of Late Night with Jimmy Fallon at 12:37am on NBC. Breckin Meyer (Married to the Kellys/Inside Schwartz) - Breckin appears on a repeat of Conan at 11pm on TBS. Ana Gasteyer (Suburgatory) - Ana visits LIVE! with Kelly, so check your listings. Chris Pratt (Parks and Recreation) - Chris is a guest on a repeat of The Ellen DeGeneres Show, so check listings. Jami Gertz (The Neighbors/Still Standing/Square Pegs) - Jami is interviewed in an encore airing of The Chew Presents ABC's Fall Primetime Preview Special at 1pm ET/12pm PT/CT. Reba McEntire (Malibu Country/Reba) - Reba is interviewed in an encore airing of The Chew Presents ABC's Fall Primetime Preview Special at 1pm ET/12pm PT/CT. Jamie Foxx (The Jamie Foxx Show) - Catch Jamie on Jimmy Kimmel Live! at 12am on ABC. Kathy Griffin (Suddenly Susan) - Kathy visits The Late Late Show with Craig Ferguson at 12:37am on CBS. Jim Gaffigan (My Boys/Welcome to New York) - Jim appears on a repeat of Last Call with Carson Daly at 1:35am on NBC. Kunal Nayyar (The Big Bang Theory) - Kunal stops by Conan at 11pm on TBS. Marilu Henner (Taxi) - Marilu is a guest on a repeat of The Talk on CBS at 2pm ET/1pm CT-PT. Valerie Bertinelli (Hot in Cleveland/One Day at a Time) and Jane Leeves (Hot in Cleveland/Frasier) - Two of the stars of Hot in Cleveland appear on a repeat of The Nate Berkus Show, so check your local listings. Bob Newhart (The Bob Newhart Show/Newhart/Bob) - Watch the legendary Mr. Newhart, who celebrates 40 years on television, on Jimmy Kimmel Live! at 12am on ABC. Ellen Barkin (The New Normal) - Ellen drops by Late Night with Jimmy Fallon at 12:37am on NBC. Demi Lovato (Sonny with a Chance) - Demi talks about The X Factor on NBC's Today between 7-9am. She also visits LIVE! with Kelly, so check your listings. Finally, she will also be on Late Night with Jimmy Fallon at 12:37am on NBC. Big Time Rush - The cast of Big Time Rush are guests on a repeat of The Ellen DeGeneres Show, so check listings. Sofia Vergara (Modern Family/The Knights of Prosperity/Hot Properties) - Sofia is a guest on a repeat of The Ellen DeGeneres Show, so check listings. Yvette Nicole Brown (Community) - Yvette guest co-hosts a repeat of The Nate Berkus Show, so check your local listings. Adam Scott (Parks and Recreation) - Adam stops by Jimmy Kimmel Live! at 12am on ABC. Angela Kinsey (The Office) - Angela visits The Late Late Show with Craig Ferguson at 12:37am on CBS. Jenny McCarthy (Two and a Half Men/Jenny) - Jenny appears on a repeat of Last Call with Carson Daly at 1:35am on NBC. Betty White (Hot in Cleveland/The Golden Girls/The Mary Tyler Moore Show) - Betty is a guest on a repeat of The Talk on CBS at 2pm ET/1pm CT-PT. Wanda Sykes (The New Adventures of Old Christine/Wanda at Large) - Wanda stops by NBC's Today between 7-9am. Matthew Perry (Go On/Mr. Sunshine/Friends) - Watch Matthew on The Tonight Show with Jay Leno at 11:35pm on NBC. Lizzy Caplan (Party Down/The Class/The Pitts) - Lizzy chats with the ladies of The View on ABC at 11am ET/10am CT-PT. Ellen Barkin (The New Normal) - Ellen talks about The New Normal on NBC's Today between 7-9am.